The Music is type of art, which contains fundamental elements like silence, pitch, melody, harmony, rhythm, tempo and other. We able to hear the music, because the sound waves are traveling true the space and reaching our ears. What Are The Sound Waves? 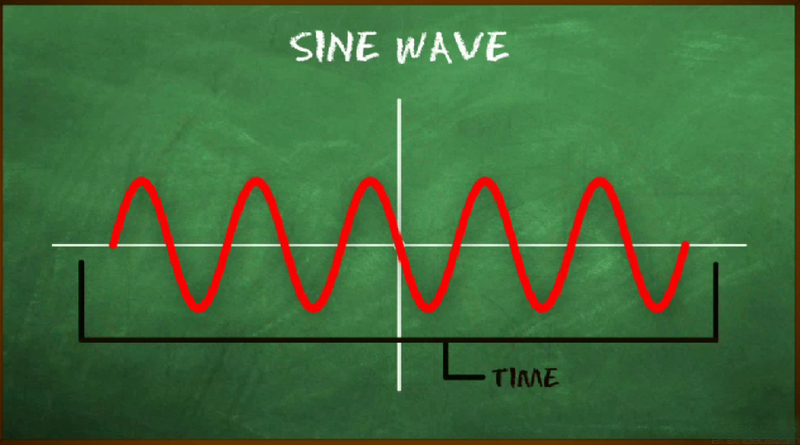 As we can see in the image waveform is periodic repetitive cycles – positive when the wave rises up and negative when descending down. It is a pure tone of constant frequency and amplitude. 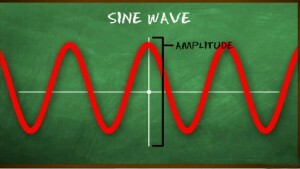 The higher the amplitude of the wave (peaks are higher wave) is more strongly heard. 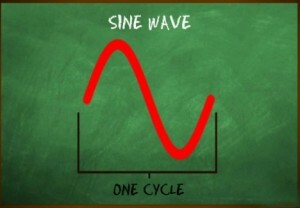 One cycle of a wave represents a positive and negative part. 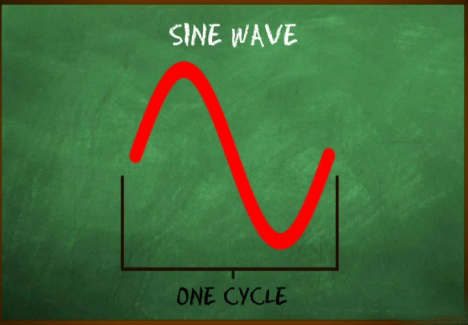 Depending on how many cycles has the wave for the time period from one second determines its frequency (Frequency). The more small (narrow) the cycle are , the more cycles are in period of one second, and likewise as a large (wide) are the cycles – has less cycles per second. These are the main characteristics of sound waves that are important to the understanding sound synthesis. As already mentioned above Frequency of the sound wave is determined by the number of cycles for the time period of one second. 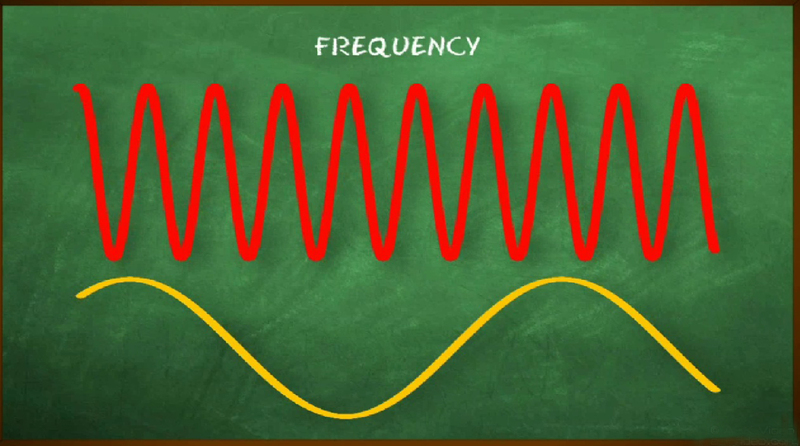 The definition of frequency is exactly that. 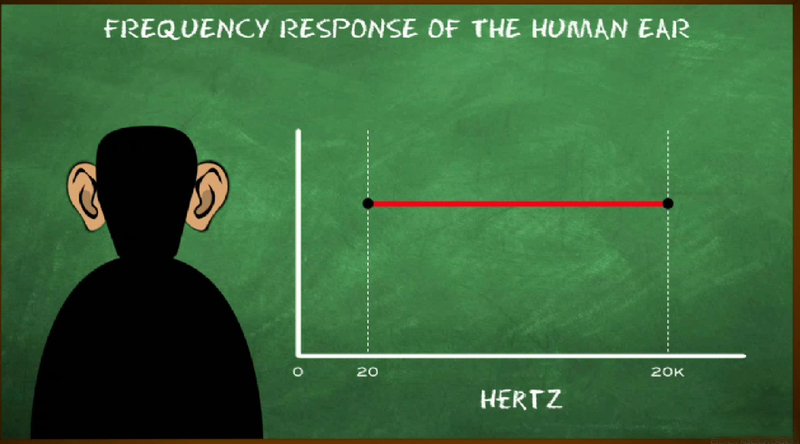 Frequency is measured in Hertz’s. 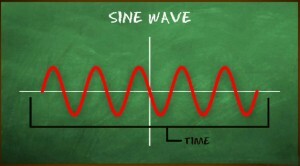 The more rapid vibrations of the wave are, the more – the higher the frequency is. The slower vibration determines lower frequencies. 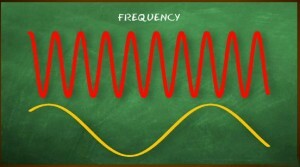 The frequency is closely related to the wavelength. 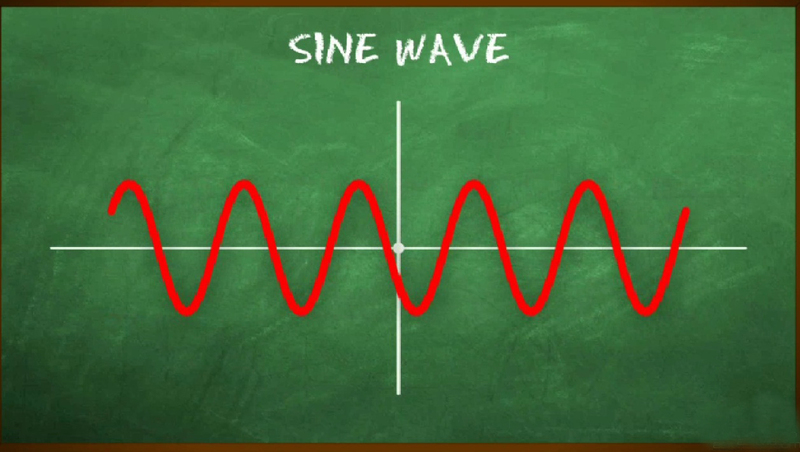 The higher the frequency the more – short wave presents and vice versa. The speed of sound is 1130FT/sec or 429.4 cm / sec. To calculate the wavelengths divide the speed of sound to the frequency. To perceive the frequency of the wave we must have a receiver. Example of receiver is the human ear and the microphone diaphragm they are responding to positive and negative parts of the wave. 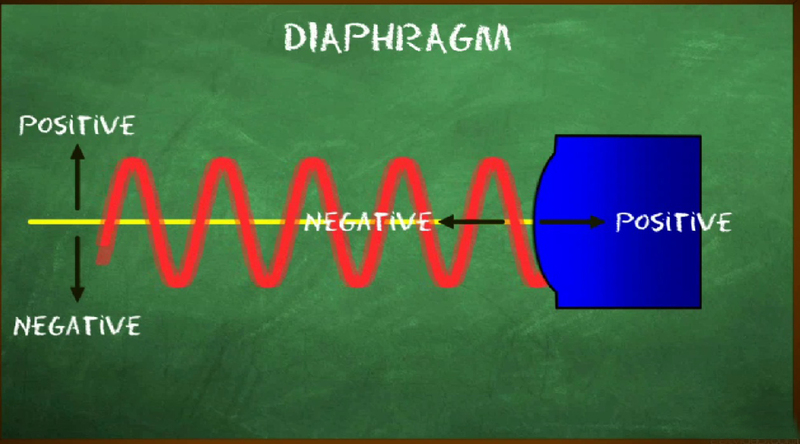 In positive parts the diaphragm shrinks inside, and on the negative parts of the wave is granted to. Knowledge of the frequency allows the synthesis of various sounds, low, bass and etc. Each diaphragm is limited to information that can be obtained. This limitation is based on the physical characteristics of the diaphragm. 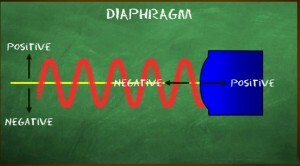 The volume and size of the diaphragm affect the amplitude and sensitivity to the frequencies. The higher volume of large aperture, the more energy the diaphragm needs to shrink and return to their original state, which contributes to its small sensitivity. In theory, smallest diaphragm is more sensitive to higher frequencies and as larger – sized the diaphragm is, the more sensitive it will be to the lower frequencies and to the long sound waves. This explains the choice for the size of the speakers in the columns for high and low frequencies. Frequency Response – it’s effective operating frequency range of a receiver or device. 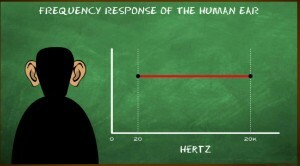 As is well known, the range of the human ear can perceive from 20 to 20khertz. Does this mean that you cannot perceive lower and higher frequencies in this range? The answer is no, in this range we just hear more well. For older people this range usually ranges from 20 to 16 khertz. I think it is important to know your own hearing range and where your problem rates are and to work closely with them. The advancement of technologists drastically changes the way of recording. Digitally recorded with the help of computer and recording software offers much more – great options for settings and very fast and versatile method for handling recorded material than with analog recording equipment. 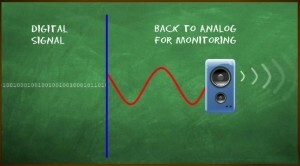 Rules and theories for recording and mixing are the same as with analog equipment. What is a digital audio – Digital audio is audio that converts sound waves into digital signals represented by ones and zeros. This is done by analog – digital converter or A / D Convertеr. 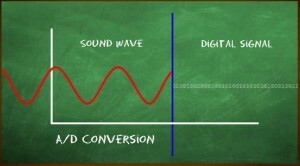 Once the sound wave is converted into a digital signal can be applied various settings and digital effects. 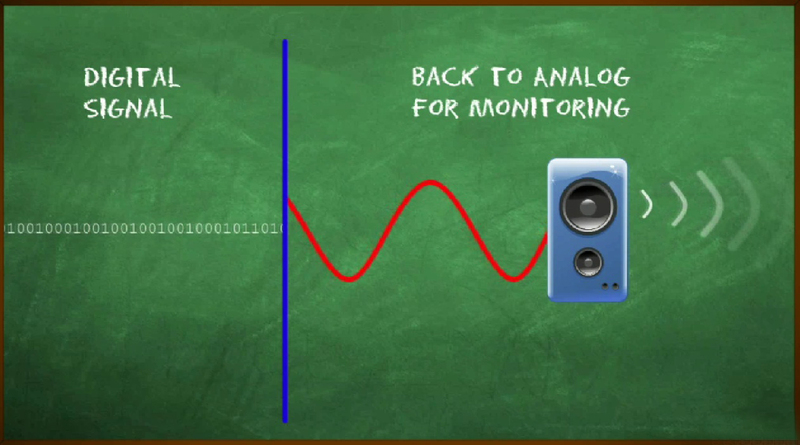 To hear, however, what we did or recorded, the digital signal is converted into a sound wave before it reaches our monitors. This is done through a digital analog converter d D / A Converter. This is an important process that should be known in digital composition and working with digital processors.